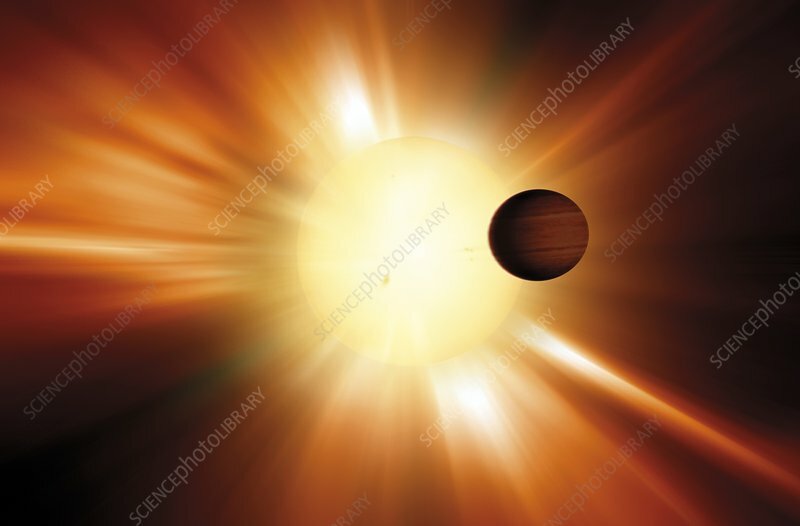 Exoplanet and its parent star, computer artwork. An exoplanet is a planet outside of our own solar system. As of 2014, around 1,800 exoplanets have been discovered. This exoplanet is known as a Hot Jupiter. These are a class of exoplanets with similar characteristics to Jupiter, that orbit very close to their parent stars.